Steven Pressley insists Coventry City can be competitive despite budget cuts. Coventry City manager Steven Pressley insists his side can be competitive in League One next season, despite seeing his playing budget more than halved. Last season, City had a budget of £4.25m but Pressley will have to work with a budget much closer to £2m in the coming season. City have already seen their highest earner, Richard Wood, removed from the books after he was released following the expiration of his contract, with another seven players having already been shown the door. Pressley has also told up to six current players that are still in contract with the club, that they are free to find new clubs. Pressley has insisted that many fellow League One teams are in the same boat, due to the new Financial Fair Play rules being bought in by the Football League. Newly relegated Wolves, who are still benefiting from Premier League parachute payments, will be by far the biggest spenders, blowing the rest of their League One rivals out of the water with a whopping £25m budget, while Bristol City are understood to be looking to halve their 18.6m wage bill to around the £9-10m mark. “It’s an average budget in League One,” said Pressley about City’s purse. “There’ll be eight or nine teams on the same and to be honest that’s why the club are fighting for a different turnover. “We are, in many respects, regarded as a big club but in reality because of the new Financial Fair Play regulations and the percentages that you can spend our turnover and what we can spend is an average budget in League One. “But I think if we get the right players in and the right recruitment, and we work exceptionally hard on the standards and culture at the football club; and if we can get the support behind the team who understand that we’re facing challenges just now, that we are a club that doesn’t necessarily have the biggest budget but together we can see a cause, then I think we’ve got a chance. “If people understand that our budgets won’t be anywhere near the big players in the division – and that’s not a gripe from me, because done properly we can really build a team and a philosophy and culture. “We also need a bit of a siege mentality around the football club with our supporters and really give the city something to be proud of, and that’s what we intend to do and I’ll work hard with that. “These are the challenges but I worked in these circumstances at Falkirk and that’s the reality. But the truth is for the last 15 years this club has spent a lot of good money on players and a lot of money on budgets but the reality is that doesn’t guarantee any degree of success. He added: “I think Jose Mourinho said you can either throw money at it like Man City and buy success or you can lay the foundations to create an identity of a football club that will last for years to come, and that’s what we need to do here. 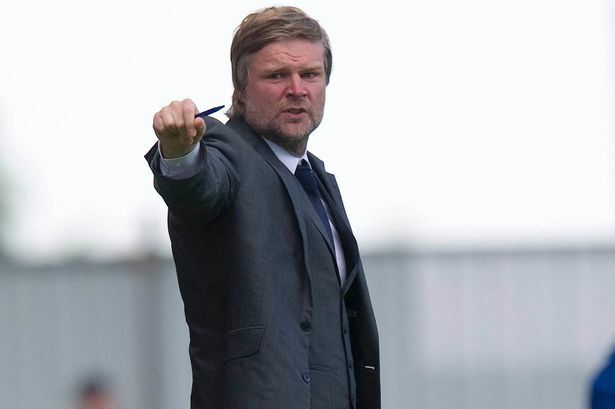 Pressley is looking at Gary Johnson’s Yeovil Town as the perfect example, after their gained promotion via the Play-Offs last season, despite being on one of the smallest budgets in the league, with a similiar budget expected for The Glovers in the Championship next season. “One thing I will say on Yeovil – and by the way the manager has done a wonderful job – they were a club that were coming from nowhere and no degree of expectation,” said Pressley. “They are a club where no-one expected that from them but people expect something from Coventry, so the pressures are different. But that’s not to say that through prudent recruitment and the right culture that you cannot be successful. « Coventry City travel to Leyton Orient in Captial One Cup First Round.